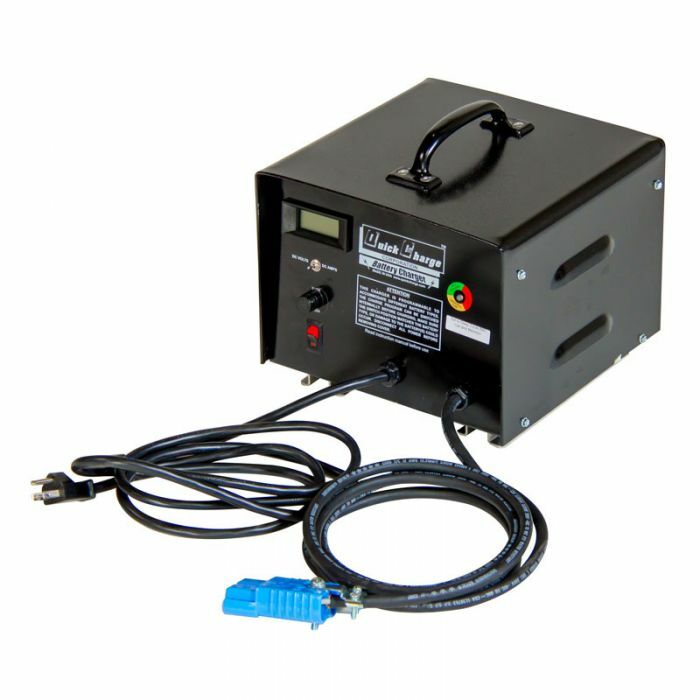 This 110v onsite battery charger is lightweight and quick charging, allowing you to recharge the T-3000EI overnight. This 110v onsite battery charger is lightweight and quick charging, allowing you to recharge the T-3000EI overnight. It features Smart-Charging Technology which will automatically shut off when the batteries are full, preventing overcharging and damage to the battery.